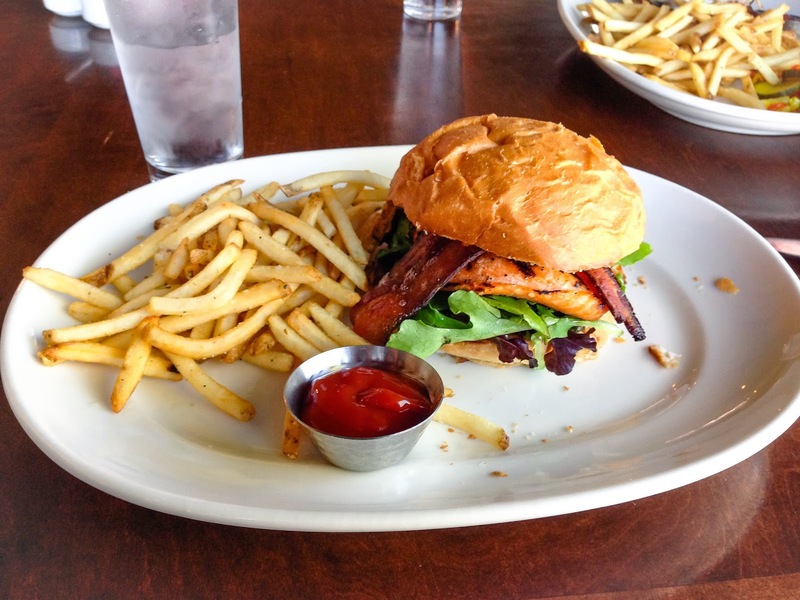 Salmon BLT with tomato jam and rosemary french fries from The Block. I had this yesterday when I met up with E for lunch near his new office. It was ridiculously delicious, and I'd like to eat it again, soon. 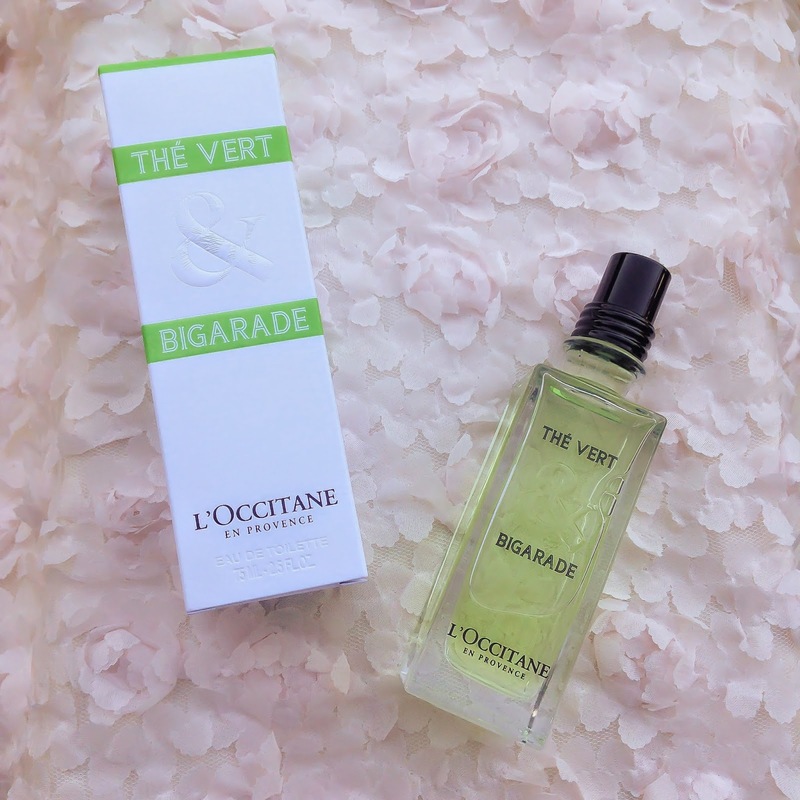 Thé Vert & Bigarade eau de toilette. I literally cannot even walk by L'Occitane without buying something. So since I passed by the store headed to J.Crew hoping to try on their final sale toile skinny sweatpants (which alas they did not have at my store...) I somehow ended up with a new bottle of heavenly perfume. I am not upset about this. It is a fresh, citrusy scent, with strong notes of green tea and bitter orange. Colored faux leather jackets. I'm a fan of this colored leather trend, but definitely not willing to invest in a real leather jacket that may be out of style in a few seasons. There are plenty of afforable, fun options though... the hardest decision is which color to choose?! This green one is a current front runner. 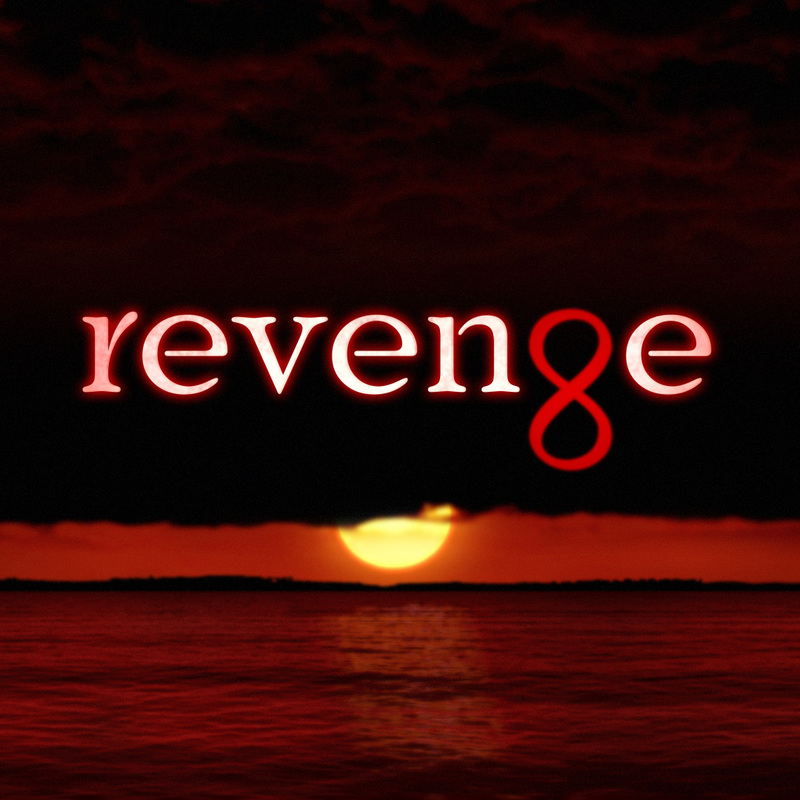 Revenge, season 1. I just started the series on Netflix, and it's pretty enthralling. I love that it's kind of Gatsby meets Count of Monte Cristo (basically two of the best books ever). A glamorous, deceit-ridden, tale of revenge; what more could one want in a juicy TV show? Uhhh, I had a little fun with Old Navy's 35% off for card holders and my ON rewards... I have a sizeable package coming which includes all the goodies above, and a varsity striped sleeve sweatshirt that sold out. I want to copy your outfit, could you be cuter?! NO!!! You're a doll. PS- I'd love for you to stop by tomorrow to link up! I very like your shirt! Great blog, definitley a new follower! Thanks Cassie!! 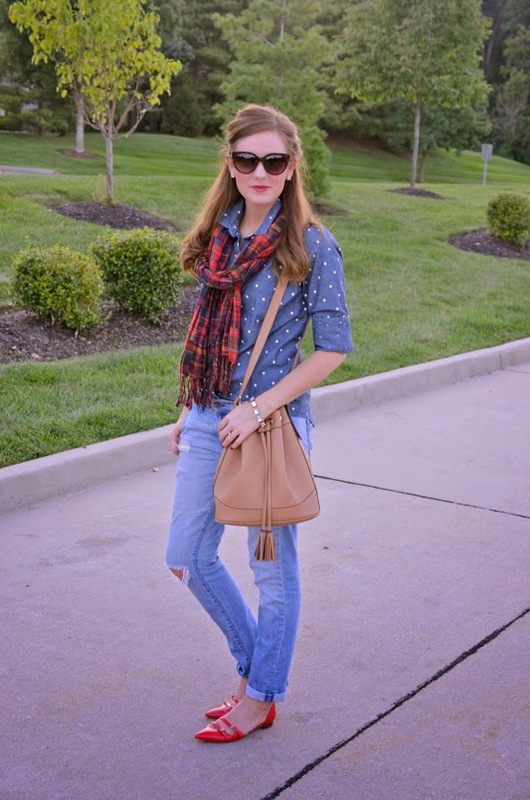 I'm sure you'll look adorable mixing dots and plaid :) Thanks for reading! 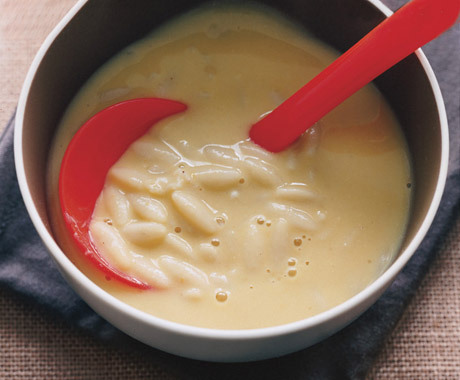 Aw sorry to hear hubby is sick, but you're the sweetest for cooking him up some soup! 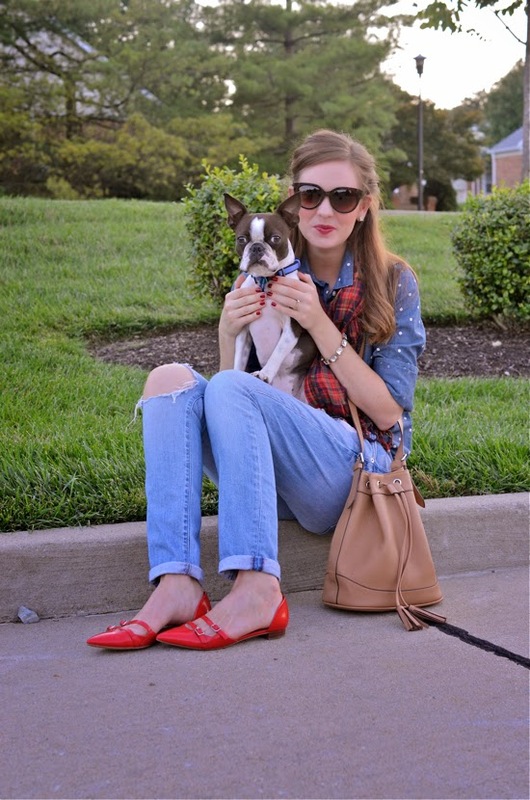 I just adore this outfit, the red flats really make it pop! 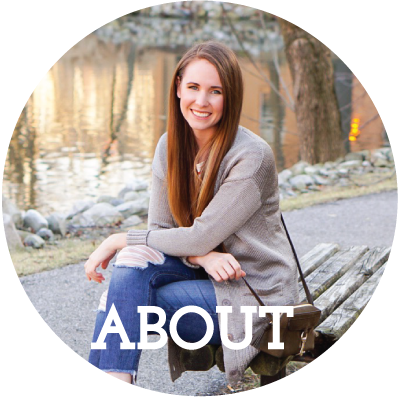 PS- I'd love for you to stop by today to link up your favorite look this week! Very chic in the head-to-toe denim look. I love pairing jeans with chambray shirts. 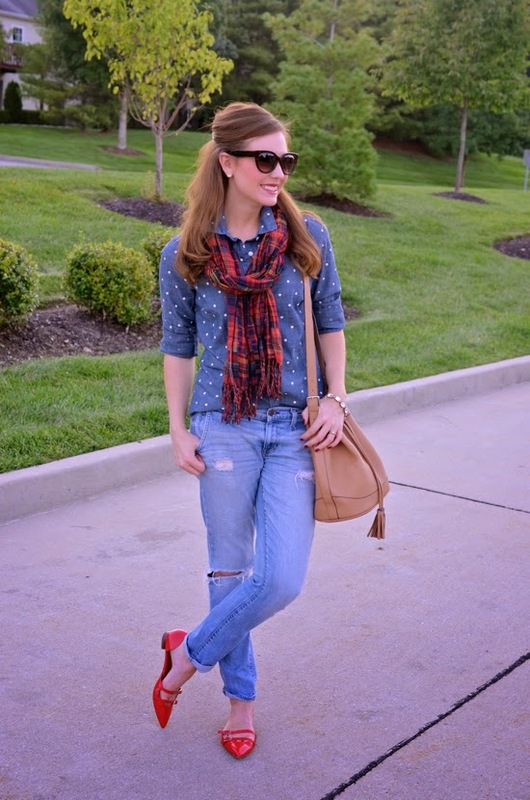 The scarf is perfect here and the bright red flats are fun. Welcome by to see my latest. Thanks, Jenna! Super cute outfit! Love the polka dot shirt! 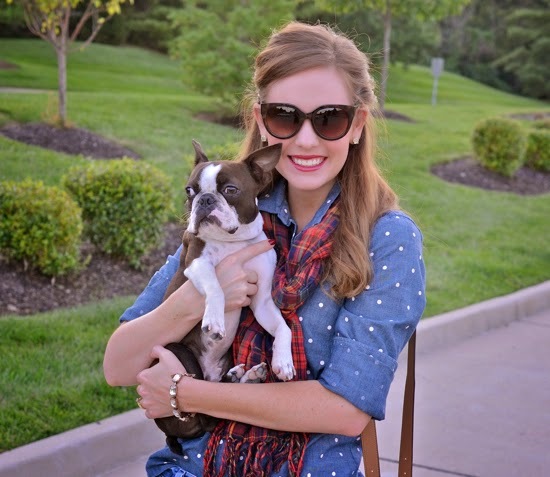 Positively adoring this polka dot chambray top! 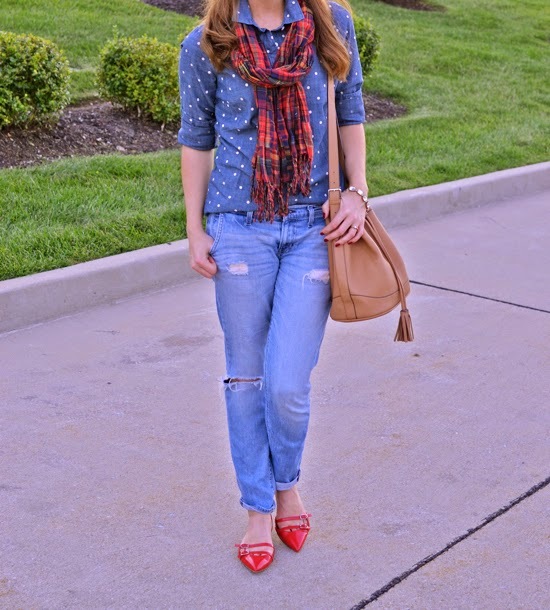 Love the plaid scarf with it and those red flats are Amazing! Such a great look. Thank you!! <3 And thanks for linking up today! Oh, I'm glad you mentioned that Revenge is on Netflix! I have heard good things about it and want to add it to my queue. Aside from that, your outfit is so cute! Can you tell us where you got your sunglasse? Love the cat eyes on them! I think Revenge is newer, but I'm already so sucked in!! And the sunglasses are from Forever 21! I always forget to link them, but when I checked they're not available online. I got them about a month ago in stores though, so they may still be there! xox thanks for reading! Cute outfit! I like all the pieces, especially the shoes. Love your post and what your waiting for from ON. One of my favorite stores. Love those shoes! And your dog. Can I have both?